There are so many components to a teaching lesson (the opening, direct instruction, guided practice, closing, and more). How can a teacher perfect them all? Nothing is ever perfect, but each portion can be learned and mastered. Teaching is an art that is crafted over time. Today I want to focus on lesson closure. I don’t know about you, but this was the one area where I needed the most help. 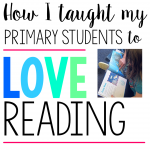 I was so focused on the other parts of the lesson that I would sometimes forget to close my lessons effectively. How much did my students understand from the lesson that I taught? How could I effectively close my lesson in a short period of time? Please note that these strategies should be seen as a toolkit. Of course I am biased because I love math, and all of the examples below will reflect that. But these strategies can be used for any content area. An exit ticket is a quick way to assess what students know. It’s given to students at the end of a lesson or the end of the day. While exit tickets are versatile (e.g., open-ended questions, true/false questions, multiple choice, etc. ), they should be brief. 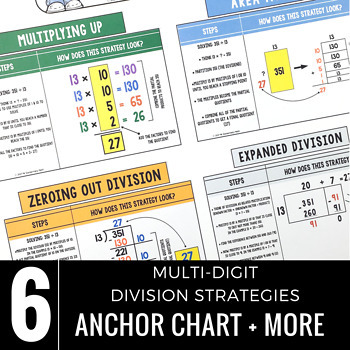 They can be individual sheets (e.g., exit slips) or a place in your classroom where all students can post their answers, like a “Show What You Know” board. Exit tickets are extremely beneficial because they provide information about student strengths and areas for growth, as well as assist with teacher planning for small group instruction. Questioning is a tried-and-true way to close out a lesson. Questions can be used as a review or to see where students need more practice. 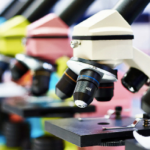 The right questions can cast a laser focus on a specific concept, strategy, or standard. They can be presented in written or verbal form. 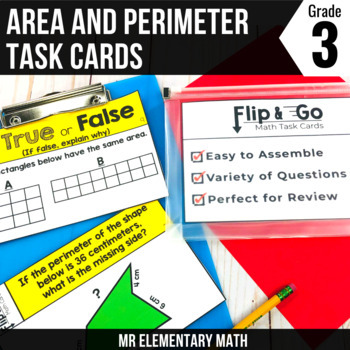 One way to do a quick and effective close on a lesson would be to use my Flip and Go Math Cards. 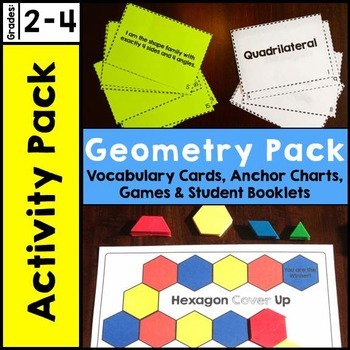 These cards, which are available in grades K-5, contain a variety of questions that are directly aligned to a specific concept. For more information, you can check them out here. Select two to three questions from the set. Show your selected cards to the whole group. Allow the students approximately one to two minutes to think about the answer. Depending on your purpose, you can have students pair with a partner or work individually. 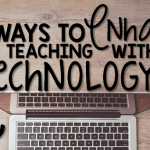 Students can record their answers on a dry erase board to hold up immediately, or you can have them write their answers on a piece of paper and collect them later. The sentences can be recorded in student journals or on a piece of paper. If you’re working with younger students, you can have them draw a picture and label it. A ____________ is an example of a _____________ because _____________ . 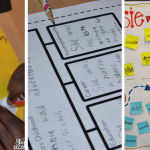 Concepts maps are graphic organizers that show a connection or a relationship between concepts. 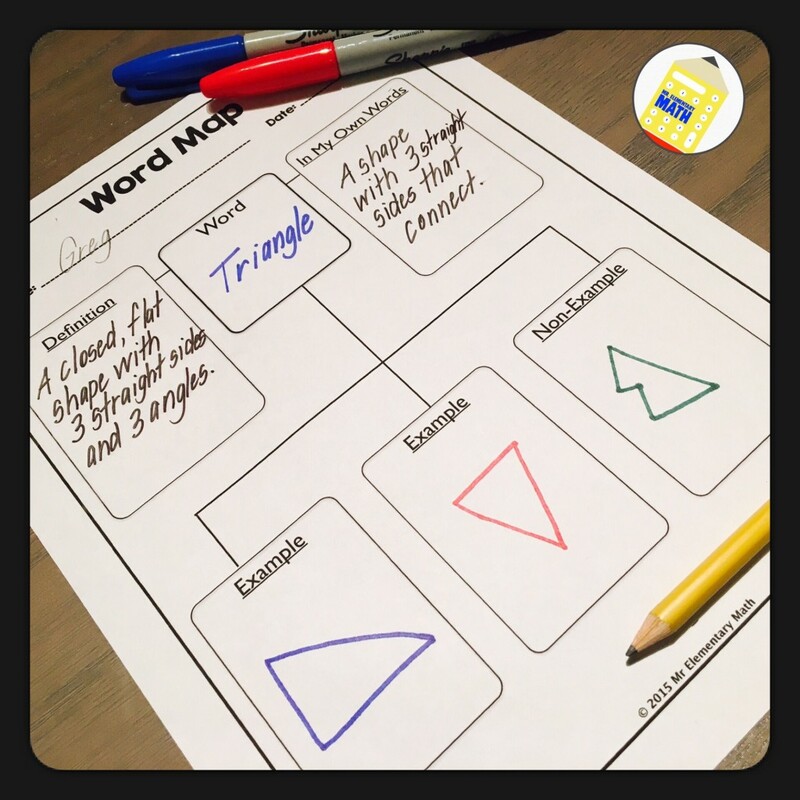 Use concept maps to assess student understanding by having your kids describe key vocabulary from the lesson. Have your students write the word and the formal definition during the lesson. During the closure, students work to create their own definition and provide examples and non-examples. 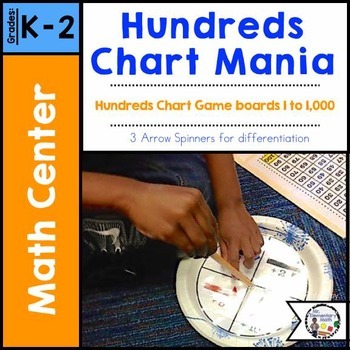 For younger students, complete this as a whole group activity, with the teacher recording student responses on an enlarged graphic organizer. Teacher tip: You can save more time by having the formal definition already filled in for students. 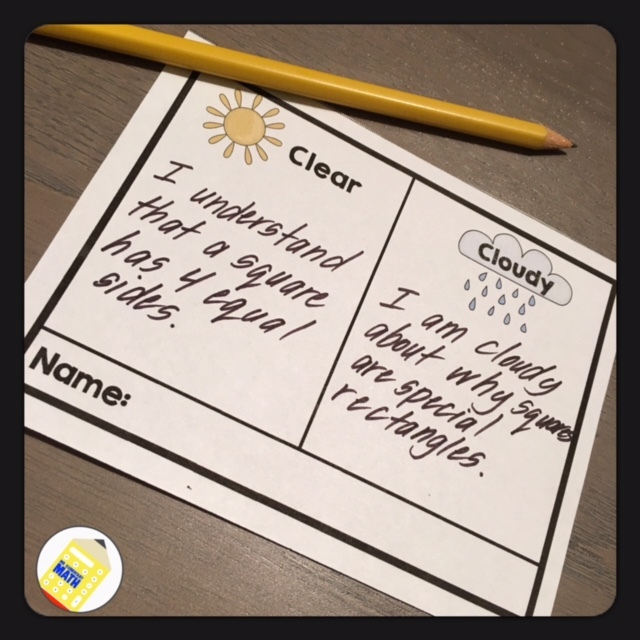 Clear or Cloudy is a tool that students use to communicate what is clear (what they understand) and what is cloudy (what they’re having trouble understanding). I enjoy this tool because students must reflect on their learning. At the end of your lesson, give each student a “Clear or Cloudy” sheet. Ask them to independently record one thing that was clear and one thing that was cloudy. After students complete their sheets, collect and read their responses. Their responses may surprise you! You will easily see student strengths and misconceptions that can be addressed in future lessons. 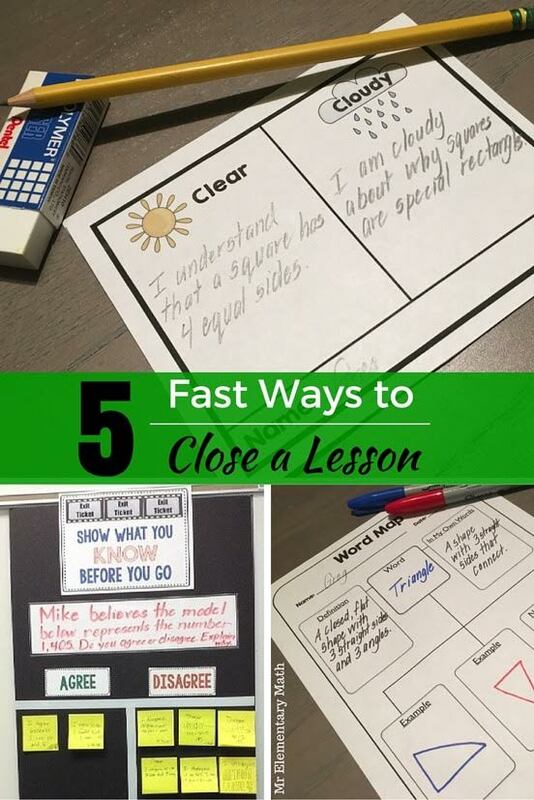 I hope you enjoyed reading 5 Fast Ways to Close a Lesson. Click here to download some of the free templates shown in this post. These tools helped me on my quest to find the “perfect lesson closure.” I hope they’re helpful to you as well. Greg Coleman is currently a K–5 math instructional coach in Atlanta, Georgia. He has 13 years of experience in the field of education. 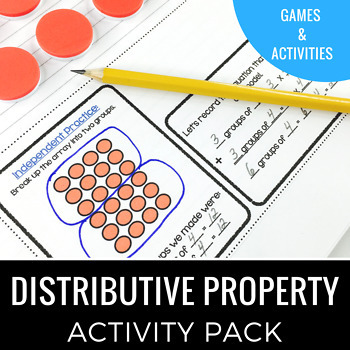 He loves to share math ideas and resources with elementary school teachers. His mission is to make math clear and simply fun. 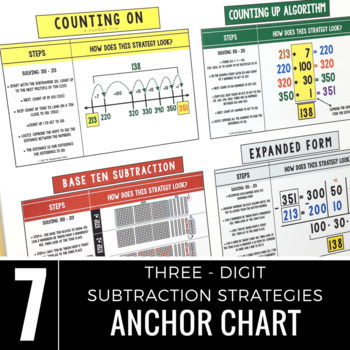 You can find more ideas on his blog Mr Elementary Math.